LED floor lamps such as this contemporary design are a great way to add an extra source of light to seating areas. 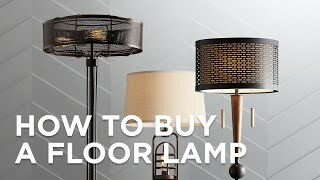 Bring light to your living space with this functional and stylish floor lamp. The design features an energy-saving LED head and glass shade. Pole tilts forward or backward to achieve optimum lighting angle. This slim profile design comes in a sleek satin nickel finish. Adjustable from 45" to 55" high. Base is 9" wide. Maximum arm reach of 25 1/2". Built-in 5 watt LED module. Comparable to a 40 watt regular bulb. 320 lumens. 3000K color temperature. Push button on-off switch on the light head. 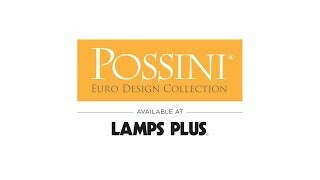 A Possini Euro Design® energy-efficient modern LED floor lamp. Glass diffuser over the LED module. Satin nickel finish. Metal construction. We needed a task light that wouldn't block the view. LED is a no- brainer. Looking for something to complement our living room remodel. Elegant design, sleek frame and contemporary. Needed a contemporary reading lamp and for doing jigsaw puzzles. 5 watt lamp; design allows over the chair or beside the chair use; reasonable price; free shipping; apparent desire to provide value and good customer service by the way the web site is organized. Great size for small space which needs light for reading. The satin finish and sleek styling. I like the clean lines. Badly needed, and it looks very nice. Needed a reading lamp and did not want to distract from wall hangings and the like. I think it will be perfect. Needed a good floor lamp for reading. Like the simple lines of this model. I liked the previous purchase. We have contemporary furniture and relatively small space. 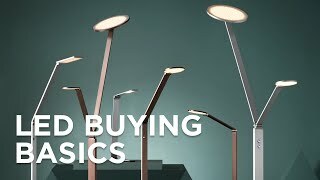 We want functional, unobtrusive reading lamps. Neat & clean look with right amount of light. This is my second salvo floor lamp. I love the style. The lighting is ideal for reading. Simple and clean lines; appearance; modern looks. 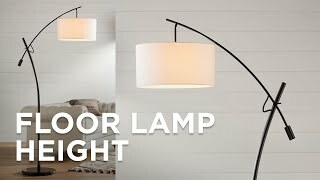 I have been looking for this minimalist, yet stylish floor lamp for a long time. Where is the on-off switch? Nearr the bottom or at the light? BEST ANSWER: There’s a small, round button on the top of the light that turns it on. The switch is on top of the light - toggles on and off. Is is possible to get a replacement plug/ Driver? Do you have it in brass? 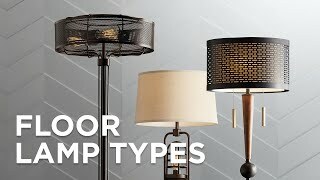 BEST ANSWER: Hi, this floor lamp is not offered in a brass finish. We love the lamp but it must have fallen as we noticed about a week after we got it that the glass part is broken. Do you sell replacement parts ? Can light bulb be replaced? BEST ANSWER: Hi - the LEDs are built-in (integrated) and there are no bulbs to change. Exactly what assembly does this lamp need? BEST ANSWER: The item requires minimal assembly. I went ahead and emailed you a copy of the instruction sheet to provide a visual. Can this lamp bend down to be closer to reading material? BEST ANSWER: Yes, eventhough there is no gooseneck, the pole is able to tilt forward or backward. This floor lamp is adjustable height from 45” to 54” high. Does this lamp have to be plugged into an electric socket? BEST ANSWER: Yes,the lamp has to be plugged in the wall as any other lamp. can a brighter bulb be used! 60watt equivalent? BEST ANSWER: Hi! This floor lamp comes with a built-in LED module that can't be replaced, therefore it's not possible to change the bulb. Hope this helps! Don't think so. The LED unit seems to be built in. It is quite bright..
how do you replace the bulb when it needs replaced? Does this lamp come with the light bulb? BEST ANSWER: Hi - yes, in this design the LED light source is built-in and part of the lamp head design. It's a 5 watt LED module with a light output of 320 lumens, comparable to a 40 watt regular bulb. BEST ANSWER: I'm sorry, the height is not adjustable. The lamp pole is somewhat fixed in height but you can adjust the overall height by angling the pole from the base. The pole attaches to the base via a round socket joint and you can push the top of the pole closer to the ground thus lowering the overall height. The pole itself does not bend, just the joint where it attaches to the base. It' not? Well what does this mean "Adjustable from 45" to 55" high. 9" diameter base. 25 1/2" arm reach when fully extended horizontally. Sorry for any confusions, the height of the lamp is not adjustable. 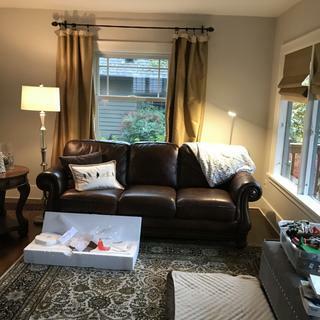 Since you can lean the lamp forward and backwards the head of the light will measure 45" inches when leaned all the way forward and will measure 55" inches when leaned all the way back. This lamp is perfect for our jigsaw puzzle table. We spend hours doing puzzles and doesn't have the heat. I ordered the lamps at the local store since they only had one display model. They were delivered to my home in a timely manner. These are simple, elegant, and provide an excellent accent to the living room. One by the sofa and one by the loveseat each provide sufficient illumination, though a little brighter with dimming capabilities would be nice. Still, quite good as they are. We love this light! It’s nice and slim, adjusts to different angles and puts out a lot of light. I’d like to get another one for my family room. I use this lamp to illuminate the area around my reading chair, but must turn it off to watch TV because the light causes too much glare. The light that it emits is absolutely perfect for reading. Thanks for providing a great product. Great product, elegant, stylish, works perfectly. We love it. This is a great contemporary floor lamp. I was looking for something sleek and contemporary to put next to a small chair in my bedroom. This lamp looks great and provides just the right light for reading. The only change I'd make is to make it dimable. This is the third one of these lamps I have purchased and it is perfect for a floor reading lamp. a bright light to read by, simple to put together, and the light is just perfect for reading. Nice quality and looks great in my living room. It took only a few minutes to put together. It works right next to our dinner table. It is great for reading and writing. Goes well with the Possini torchiere. This smaller lamp is in the same livingroom as the torchiere...goes great with everything. This lamp was just what we were looking for in our new home. It is slim and unobtrusive and looks beautiful. The illumination is just what I need to read and work. I love this lamp. Now I can read from my chair with excellent light and simply reach up to turn it on and off. no fumbling around the floor for a foot button. 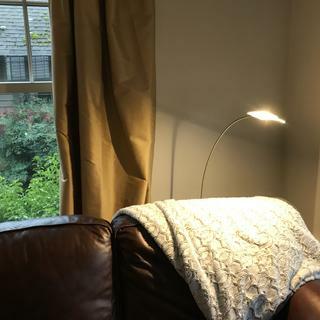 We bought two of these lamps and love them except the LED is so bright at night that you have to redirect the light away somewhat or it's too bright. These would be perfect if they had some method of dimming the light output somewhat. The light is light weight and great lighting. The switch isn't very reliable i turning it on and off. It can un-assembled, so I put it together. Overall, it's so so. Hi Mindy M., sorry to hear that your lamp's switch is not very reliable. Could you please reach out to our customer service team so they can look into this for you and provide some troubleshooting assistance? Thank you.